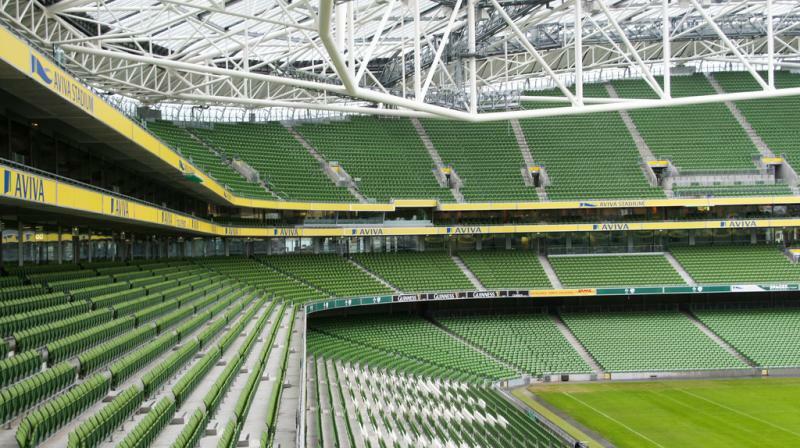 The Aviva Stadium is the national stadium of Ireland and the playing venue of the Irish national team. It also hosts most of the nation’s major rugby matches. 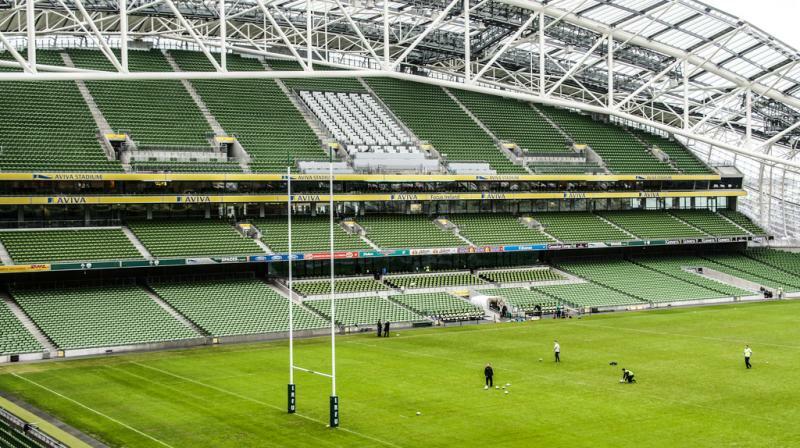 The Aviva Stadium was built on the place of the old Lansdowne Road Stadium, which was one of the oldest stadiums in the world when it got demolished in 2007. Construction of the Aviva Stadium started right after and finished in early 2010. The stadium had a price tag of €410 million and was designed by Populous. The Aviva Stadium officially opened on 14 May 2010. First football was played on 4 August 2010 when a League of Ireland side hosted Manchester United for a friendly (1-7). In 2011 the stadium was the playing venue of the Europa League final between FC Porto and SC Braga (1-0). The stadium has furthermore been selected as one of the playing venues of the Euro 2020 Championships which are played across Europe. 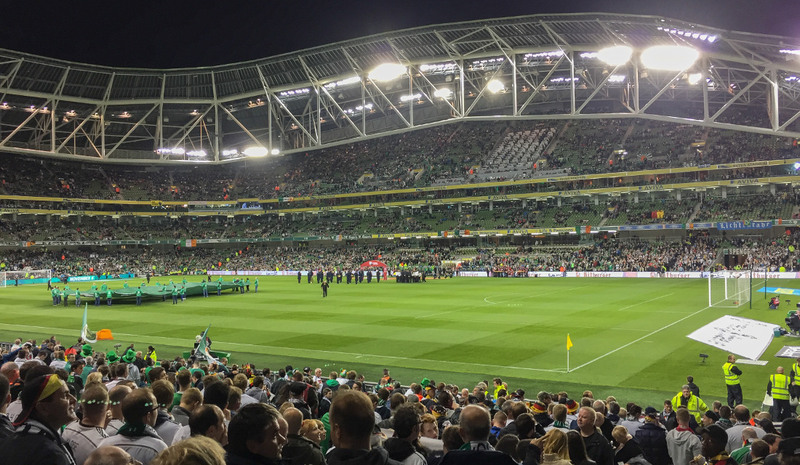 The Aviva Stadium’s most notable feature are its curvilinear shaped stands enclosing the complete stadium, a shape chosen to make sure that the surrounding houses get enough sunlight. The stadium holds a total of 10,000 premium seats as well as 1,300 seats in corporate boxes. 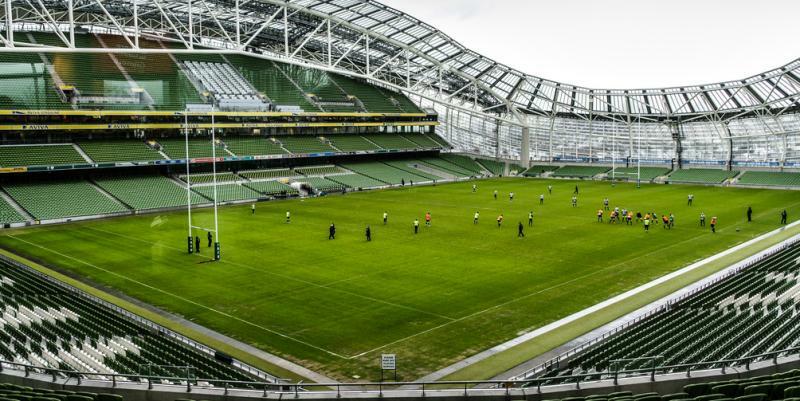 The Aviva Stadium is located in central Dublin in the Ballsbridge area, about 2 kilometres from the city centre. The walk from St Stephen’s Green park or the Trinity College area will take 20 to 30 minutes. From Connolly Station or Pearse Station one can take a DART train southbound. Get off at station Lansdowne Road which lies right next to the stadium. From the Temple Bar area one can take bus 7 to Loughlinstown/Cherrywood. The Aviva Stadium is located in a rather quiet residential area. There is relatively little around in terms of eating and drinking, though you will surely bump into the odd pub on your way to the stadium. Ariel House and Butler’s Townhouse are two hotels that are only a few minutes walking from the stadium. Both get excellent reviews. Ballsbridge Hotel, Roxford Lodge Hotel, and Grand Canal Hotel are other well-rated options. 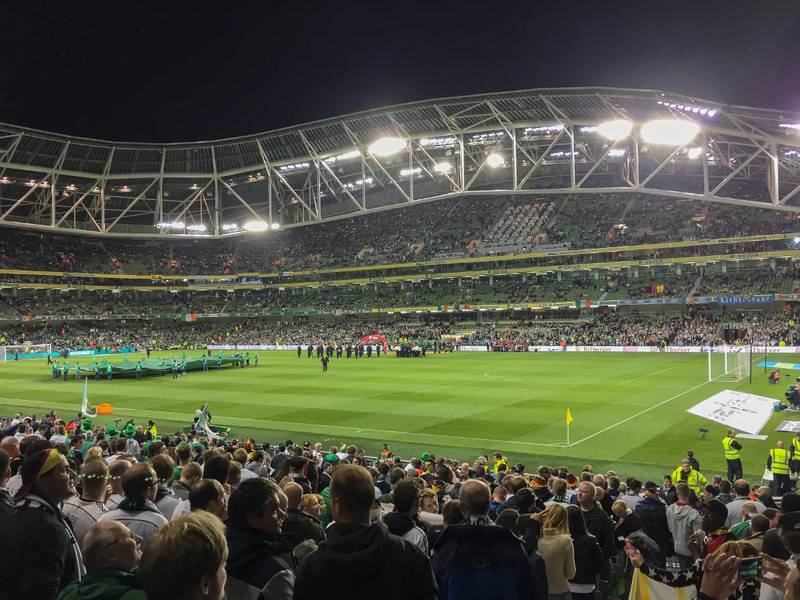 Click here for an overview of hotels near Aviva Stadium, and here for other options in central Dublin. Ticket sales for Republic of Ireland home games go via the Irish FA. The Aviva Stadium offers guided stadium tours that include the dressing rooms, players tunnel, dugouts, and press areas. Tours run seven days a week at 10:00 am, 11:00 am, 12:00 noon, 1:00 pm, 2:00 pm, 3:00 pm, and 4:00 pm. Tours do not run on the day of a match. Bookings are not required, but still recommended, and can be made by phone +353 (0) 1 238 2300 or email tours@avivastadium.ie. Avivastadium.ie – Official website of the Aviva Stadium. Visitdublin.com – Official online tourist office for Dublin. Irishrail.ie – Ireland rail and travel information. Dublinbus.ie – Information about the Dublin bus network. Great stadium. Looks amazing both outside and inside. Went to watch Euro 2016 qualifier between Ireland and Poland. Cracking atmosphere. We walked from city centre and I took us about 40 minutes. Quality food is sold in kiosks around the stadium. There was no alcohol sold on that day. Would go there again any day. Three quarters of a wonderful stadium! It really does seem absurd not to finish it properly, though. It’s the National Stadium for heaven’s sake! The residents to the north could surely be relocated and suitably compensated to make way for this. Went to an autumn rugby international a year or two ago, Ireland v Argentina. Only about 40,000 attendance, but a great atmosphere nonetheless. I wish that pint-sized end stand was made a little bigger, it takes away from the atmosphere. Great facility, though. Very clean and modern.